A native of South Carolina, David graduated from Furman University with a degree in Political Science in 1986. He went on to attend the South Carolina School of Law in 1989, where he received his Juris Doctorate in 1989. After practicing for two years in Greenville, South Carolina, David moved his practice to Charleston in 1991 and joined Clawson and Staubes, LLC in 1998. He is a member of the South Carolina Bar, the South Carolina Defense Trial Attorneys' Association and the Defense Research Institute. David became certified as a South Carolina circuit court mediator in 2013. 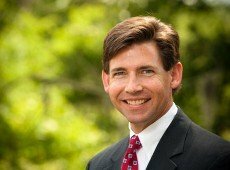 David has practiced law in state and federal courts since 1989. He has tried over one hundred jury trials to jury verdict with great success. His practice focuses on handling significant injury claims, truck accidents and construction defect litigation. David enjoys a reputation as a tenacious advocate and consummate professional amongst his peers. David is married to Caroline Cleveland, who also practices law in Charleston and represents employers in employment matters. They live in a historic home on the Charleston Penisula and enjoy traveling, exercise and sports.